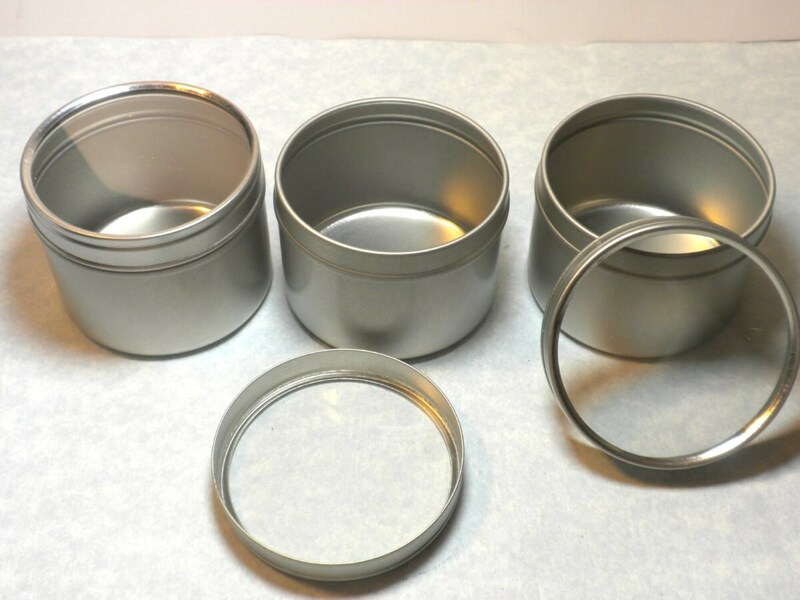 This is for just 1 new round circle tins are 2.375" width x 1.625" height (6cm x 4.1cm). They hold 4 oz. They include a clear top cover. Use them to hold pendants, scrabble tiles, earrings, mini sewing kits, or anything else you can think of! You can leave the top as it is, so all of your goodies are visible, or you can place a piece of decorative paper on the inside of the top. 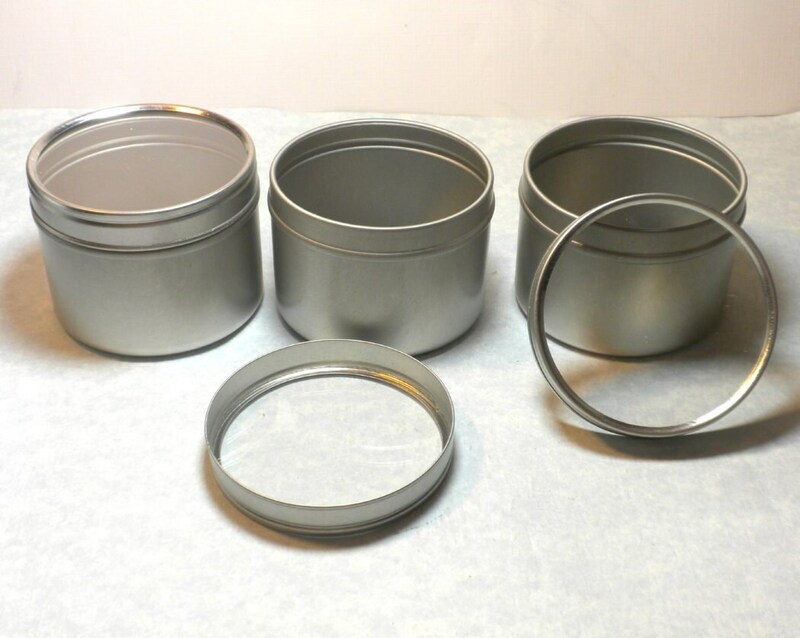 These are food grade and seamless. 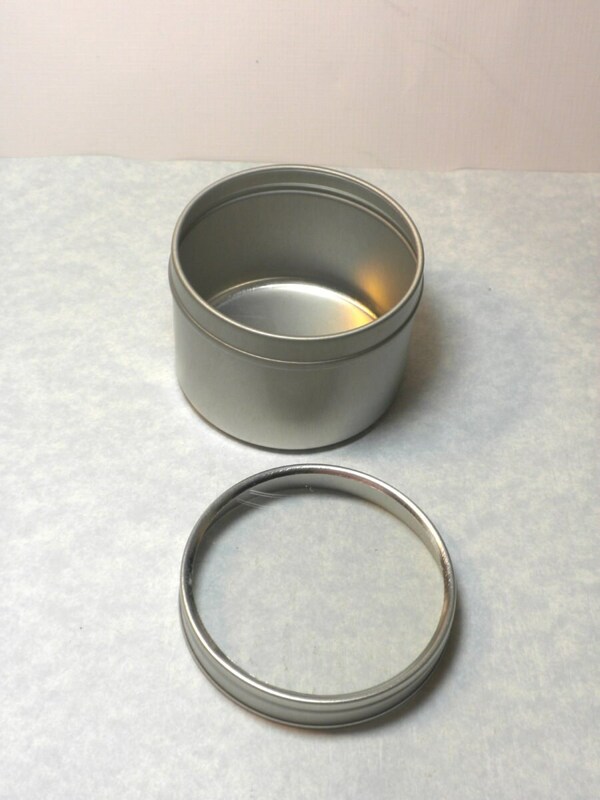 Love these small storage tins with the clear tops; great for storing small items! Lightning-fast shipping, too! Thanks. 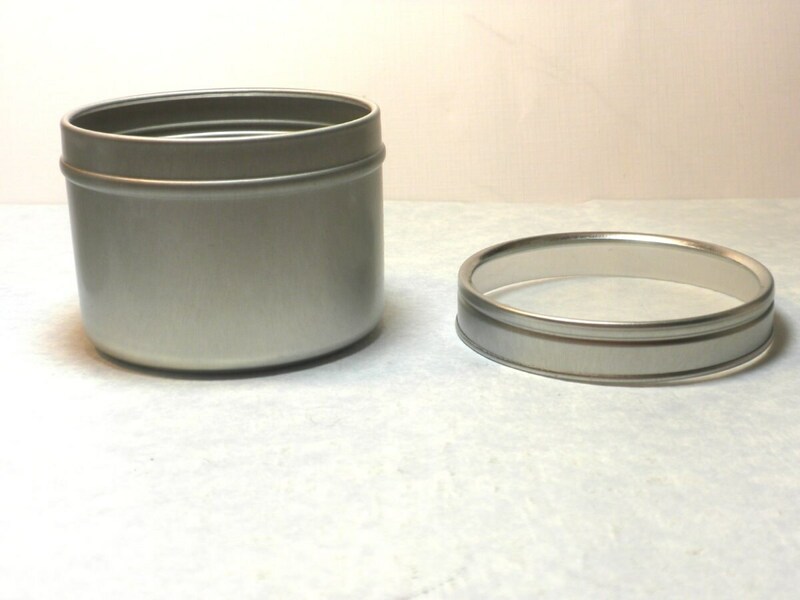 I love these small storage tins with the clear tops! Lightning-fast shipping, too! Thanks. 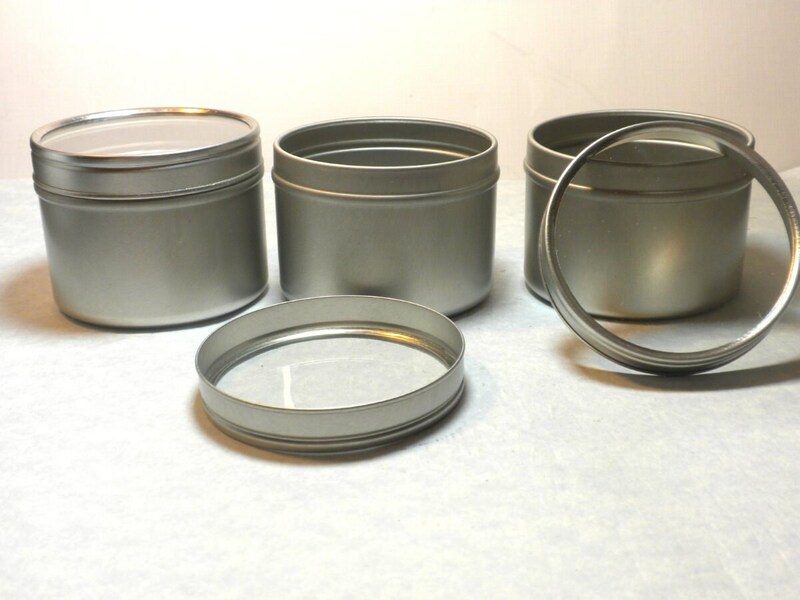 These tin containers with clear tops are GREAT--just what I was looking for!! Super-fast shipping, too. Thanks so much. Items as described and fast shipping.